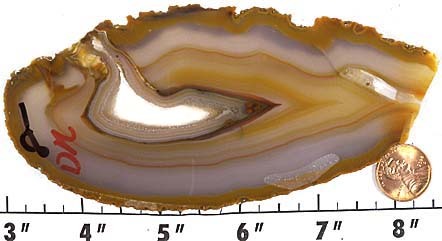 Agate is a form of microcrystalline quartz. 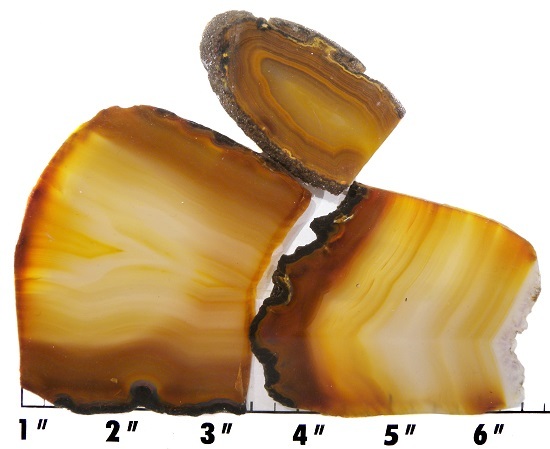 It is usually formed in nodules and has transparent, or translucent portions. 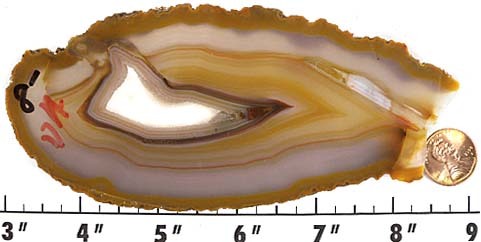 As with all of the other species in the quartz family, agate takes a high polish with cerium oxide. 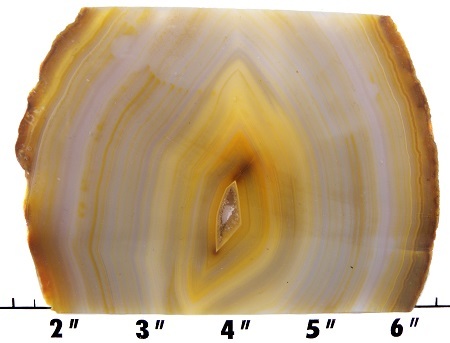 Example of Brazilian Agate Cabochon. 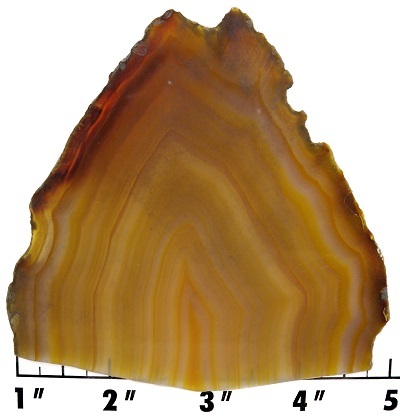 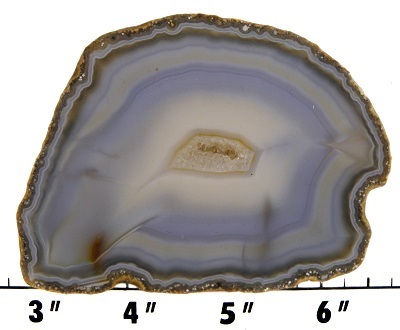 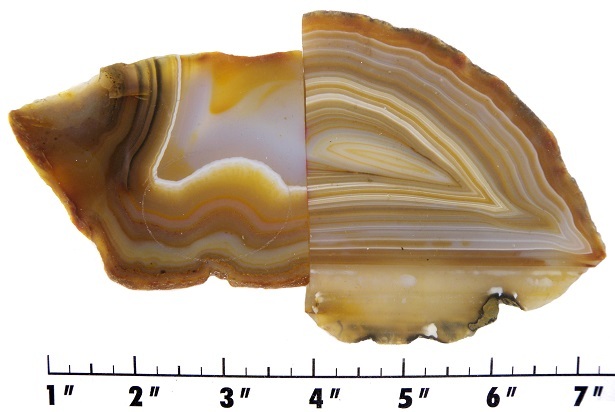 Item number: Slab1267DR - Brazilian Agate Slab - $8.00 - SALE: $5.00! 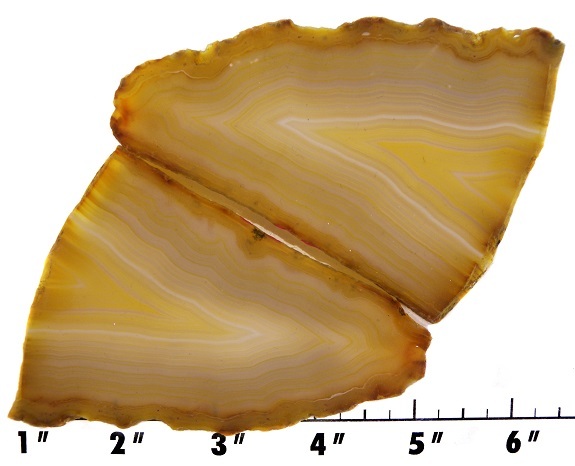 Item number: Slab1269DR - Brazilian Agate Slab - $8.00 - SALE: $6.00! 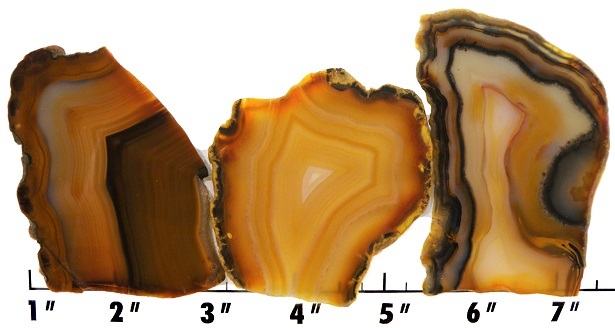 We also have ROUGH NODULES of Brazilian Agate.